Hey, I have a great idea. Let’s start a letter writing campaign to ask President Trump to make Aretha Franklin the US ambassador to China. Baba Beijing and the citizens of this largely misunderstood country would surely appreciate the respect conferred. [dropcap]I[/dropcap]n general, the Chinese are way too Confucian-Daoist-Buddhist to outwardly express their disillusionment to Westerners’ faces, but among themselves, they can be quite open about it. From personal experience, I can say that a few rounds of beer, wine or liquor can bring out the truth too. In vino veritas is a timeless refrain. I also hear it when speaking Mandarin with them. Once they realize that I really am on their side, they will vent their spleens, politely I might add. But again, 99% of the time, most Euranglolanders are clueless and kept in the dark. So, rěn is a knife coming down on top of you. You can’t escape it and it is cutting into your heart. Not killing you, but hurting you, and you have to take it, endure it. The four comma looking parts represent drops of blood. Rěn is serious business. Rěn is considered to be the apex of great leadership for Baba Beijing (China’s leaders) and the ideal civilization among the citizens, between each other and with other nations. There are tens of different words and idioms centered around rěn and its concept of endurance, patient and tolerance. The Chinese endure endless foreign insults with a famous axiom, rěn bēi qiáng xiào (忍悲强笑), which means to endure sadness with a forced smile. Notice the second character for sadness (悲) also has the symbol below for heart. In English, there is a similar saying, grin and bear it. But Euranglolanders do not base their entire system of governance and people’s civilization on it. The Chinese do and have been doing so for 5,000 years. Confucius codified it into statecraft and sociocultural protocol. Lao Zi made it into a philosophy (Daoism) and Buddha (albeit an Indian import) turned it into a world religion. This also gets into the philosophy of face, keeping face and losing face. If you say something disparaging directly to someone, you have caused them to lose face and you have not shown rěn, meaning you have not been civilized. The whole concept of face (miàn = 面) drives most foreigners to vexation and bewilderment. However, the Chinese have developed it into a way of life to get along together, not only with family members and neighbors down the street, but with other peoples halfway across the world. For individualistic, aggressive, acquisitive, evangelical and expansionist Westerners, concepts like rěn and miàn are often perceived as signs of weakness. 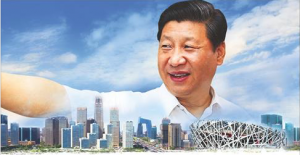 For communist-socialist, harmonious, holistic and elliptical Baba Beijing and its citizens, they are revered as the pinnacle of strength. I see this all the time in China and Westerners are mostly oblivious. This week, I attended a professional development session with fellow teachers and administrators from several schools in the area. Among us was a mixture of Westerners and Chinese. Our presenter, a European, excitedly told us a story that was supposed to demonstrate why our teaching system is superior to others. At the presenter’s international school in Shanghai, a student heard about the annual dog meat festival held in Yulin, Guangxi, China, which is due west of Shenzhen, where I live, about 500km. This student was outraged and shocked about dogs being eaten. So, she got together some classmates and they made a PowerPoint presentation about how horrifying, cruel and uncivilized eating dogs is, with photos of horrifying, cruel and uncivilized Chinese committing all these perceived crimes. This international Shanghai school then let these students go classroom to classroom, PowerPoint and indignation in hand, on a moral crusade, to denounce what this Chinese town does. Our presenter was very proud of what these students had done and proud to tell us about the experience. This presenter and those crusading students may be PETA super-vegans as pure as driven snow. More likely, they enjoy eating mouthfuls of pig, cow, fish or fowl products, but never mind the irony. They would say, “That’s beside the point”, totally clueless to their cultural hypocrisy. I just call it what it is: racism (http://chinarising.puntopress.com/2015/10/01/slavs-and-the-yellow-peril-are-niggers-brutes-and-beasts-in-the-eyes-of-western-empire-the-saker-44-days-radio-sinoland-2015-10-1/). What was interesting was the reaction of all the Chinese teachers who were in the classroom. This presenter had clearly caused them to lose face. Yet, they did nothing – did not raise a hand, did not protest, did not try to smooth things over. No, they endured humiliation（rěn chǐ = 忍耻）. They just sat there, knife on the heart and took it, in silence. After five millennia of this practiced sociocultural meme, they maybe didn’t even consciously register what happened. For evangelical, imperial Westerners, high and low, this all makes perfect sense. George W. Bush once famously had a Freudian slip of the tongue during a speech, calling the destruction of Afghanistan, Iraq and the genocide of millions of their citizens “a crusade”. Those Shanghai students were also on their own little, proselytizing crusade. 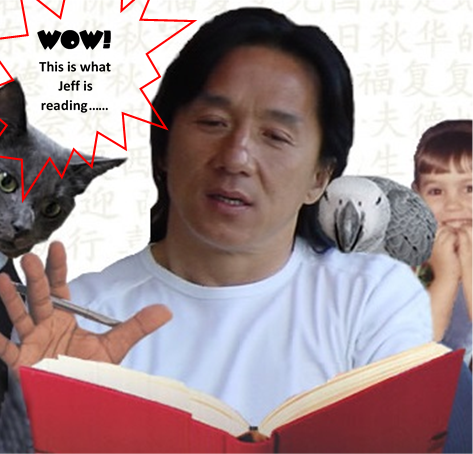 The rěn did not end there. Our presenter then told us about a teacher in training who once brought a package of tissues as their personal artifact for show and tell. You know where this is headed. Yes, since the trainee lived in China, they must bring toilet paper with them everywhere they go, because you never know! Jeez Louise. That might pass among a bunch of drunken university fraternity brothers, lighting each other’s farts, while watching the classic movie of its genre, Animal House. But these are college educated Western teachers. Would you want your child, Chinese or otherwise, to be getting this low brow racist projection all day? Then, in another practice lesson, there was one station with color photos of foods from around the world. Tacos from Latin America, hamburgers and French fries from North America, beautifully rolled Japanese sushi and grilled fish and rice from West Africa. Yummy. So, what did our presenter pick to represent Chinese cuisine? What else, but steamed chicken feet! Here is one of the most popular, elegant and varied culinary art forms offered to humankind, and 5,000 years of stunning cooking history were reduced down to a bowl of chicken feet. Why didn’t she show pickled pig brains for the United States or sautéed pork intestines to represent French cuisine? Yes, these regional, specialty dishes exist in these countries, but are they representative of two great national kitchens? No, but steamed chicken feet will do for China’s 1.3 billion citizens. There were other stereotypes about China and the Chinese during this professional development. The Chinese put up with these racist, Western indignities day and night. Rěn baby, rěn. Yet, I can’t really blame these people. I do empathize, because before I came back to China in 2010, I still exhibited much of the same blinkered, White man’s moral and intellectual superiority. We are brainwashed with it from birth and the propaganda at school and in the mainstream media is oppressive. Our presenter has lived in China for 20 years and is oblivious to her racist sentiments. I have good friends who have lived here since the 1980s. 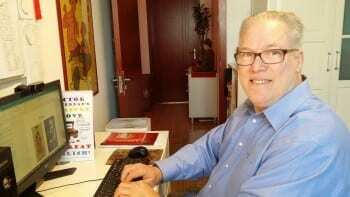 They would of course never admit it, but they still see themselves as racial and cultural superiors over the Chinese, still complain nonstop about how uncivilized daily life is among the people and still don’t understand why the Chinese do not have the same “refined” social skills as Westerners, whatever the hell that is supposed to mean. Sadly, after three decades here, they are still blinded and brainwashed by Western propaganda and entrenched racism. From Alexander the Great in the 4th century BC, to the medieval European Crusades, to the 15th-19th century extermination of 100 million Native Americans, to China’s century of humiliation, 1839-1949, to 20th century’s genocide in Palestine, to the destruction and slaughter in 21st century Syria – and millions of horrific, cruel and uncivilized points in between – all of the world’s peoples have been practicing rěn in the face of the West’s onslaught for three millennia. Euranglolanders are incurable colonialists and “we-know-what’s-best-for-you” teachers. This makes them depressingly predictable and humanity continues to pay a tragic cost, with its dignity, blood and treasure. All of this is covered in Book #3 of The China Trilogy (http://chinarising.puntopress.com/2017/05/19/the-china-trilogy/), China Is Communist, Dammit! 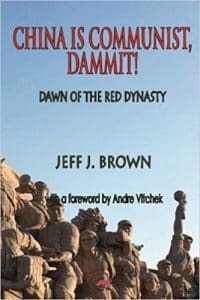 Dawn of the Red Dynasty (https://www.amazon.com/China-Communist-Dammit-Dawn-Dynasty/dp/6027354380), with fascinating, real life experiences on my part, living and working with Chinese people for fourteen years. 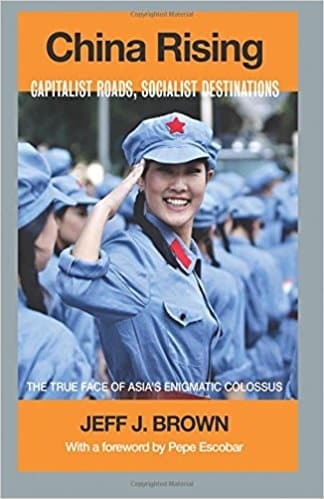 The first part of Book #2, China Rising – Capitalist Roads, Socialist Destinations shows why the Chinese have to practice so much rěn with the West, since Europeans first arrived here in 1517 (https://ganxy.com/i/113798/jeff-j-brown/china-rising-capitalist-roads-socialist-destinations and https://www.amazon.com/China-Rising-Capitalist-Socialist-Destinations-ebook/dp/B01LZ5KKNQ/). When we are billed as the next superpower, we are called The Threat. When we closed our doors, you smuggled drugs to open markets. When we were falling apart, you marched in your troops and wanted your fair share. When we loan you cash, you blame us for your national debts and over-consumption. “Why do you hate us so much?”, we asked. What do you really want from us? Think hard first, then answer. Enough is enough. Enough hypocrisy for this planet. This big blue globe is big enough for all of us. And who else is better to metaphorically sing this poem than Soul Sister Supreme, Aretha Franklin. In the movie clip below, she plays the allegorical role of the Chinese people. The three hip backup singers represent the country’s 1.3 billion citizens. The Blues Brothers, except Elwood (played by Dan Ackroyd), are Russia, Iran, Venezuela and the global Anti-West. As we see at the very end, Elwood represents all of Western empire’s poodle states. They talk a good game about wanting to join the 21st century Chinese Dream of win-win cooperation, but take their marching orders from Washington-London-Paris-Tel Aviv. All those Mercedes-Benz’s represent the umpteen billions of dollars of goods that the Chinese buy from and manufacture for the West. Socialist-Communist China is literally keeping the world economy out of a pan-global depression. 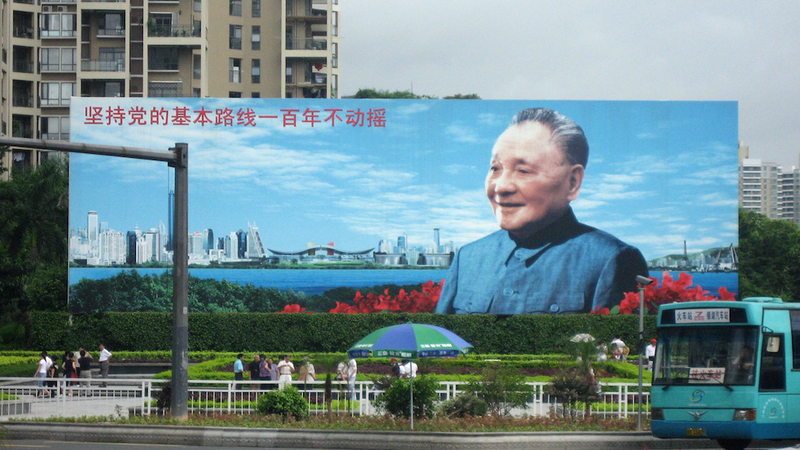 Thank you Baba Beijing and the Chinese people, thank you (http://chinarising.puntopress.com/2017/10/25/how-can-western-capitalism-beat-this-thats-the-rub-it-cant-china-rising-radio-sinoland-171022/ and http://chinarising.puntopress.com/2017/10/29/october-18th-2017-is-world-cd-day-when-baba-beijing-declared-war-on-western-capitalism-china-rising-radio-sinoland-171029/). Rock on sister! Rock on! Postscript: I had a booth at a fundraising bazaar in Shenzhen today, to sell The China Trilogy. Lots of educators were there. A Chinese teacher from an international school spent some time chatting with me. As she was thumbing through the three books, I brought up the fact that The China Trilogy exposes a lot of the West’s racism, including against the Chinese. To hear a white guy say something like that really floored her and for what seemed like an eternity, she had a shocked, silent expression on her face. Finally, her reply was, “Really? Now I understand what you mean. The foreign teachers at my school say terrible things about the Chinese and it really upsets us”! Notice the “us”. Like I said, her Western colleagues are clueless about their hurtful racism, because the rěn just keeps on rolling. But, among themselves, Chinese commiserate constantly about Caucasians’ colonial disease.